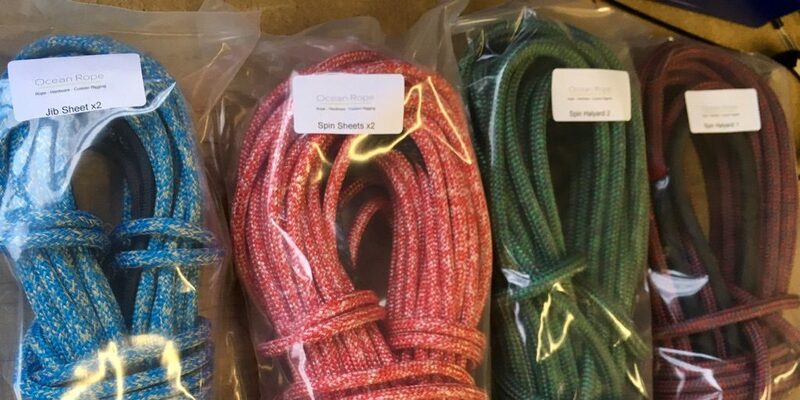 We were recently asked to produce a J105 Rope Package for a customer with a new boat. Heres all the items packaged ready to go! The spinnaker sheets were supplied with 2 covered eye splices. These were then joined with a 12 strand tail for attachment to the sail. The allows for smooth gybes as the attachment is kept away from the forestay. The jib sheets were supplied in 8mm Technora Braid for excellent abrasion resistance. These were spliced with a Chafe Sleeve Tip and a soft shackle attachment.